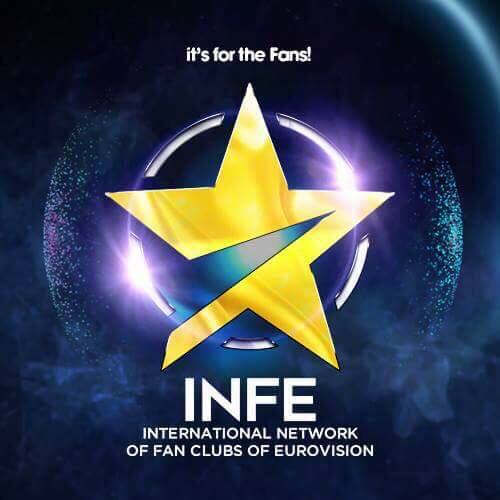 INFE (International Network of Fans of Eurovision) is one of the two non profit organizations of Eurovision fans. The INFE Network was established back in 2011 by a total then of 10 countries. After 7 years of national and international presence and interactive initiatives the club counts today more than 20 countries and an upgoing popularity as more nations are in progress to join. Greece, Azerbaijan, Spain, France, Greece, Cyprus, Turkey, North Macedonia, Czech Republic, USA, Poland , Belarus, Ukraine, Germany, Hungary, Portugal, Armenia, Slovenia, Slovakia, Australia,Venezuela, Mexico, and Tunisia have subscribed to our organization. INFE enjoys years now the ongoing support of EBU and national broadcasters in its only objective to spread the Eurovision spirit and values around the globe and share the common passion of its member for more and more Eurovision! Through its international site www.infenetwork.net and its regional national clubs’ sites never stops updating fans on the latest news about the Eurovision Song Contest and other Eurovision events such as Junior Eurovision. INFE wishes to embrace fan communities around the globe and welcome all nations on board. More information and details on our network can be shared by sending us an e mail to president.infenetwork@gmail.com . Don’t forget to follow at on instagram and on Facebook for more news and updates on our favorite song contest.